Waterford Place Apartments has a variety of spacious floor plans to choose from. All feature thoughtful design and extensive features. With six unique layouts, you are sure to find the floor plan for your lifestyle and budget. Our one bedroom apartments include Cashell and Camerough, each measuring 794 square feet, and Royal Terra, measuring 867 square feet. Among our two bedroom townhomes for rent are Powers Court and Templemoore, at 1062 square feet, and Lizmoore, measuring 1117 square feet. Two bedroom townhomes also available as lofts. Central air conditioning, modern window coverings, and ceiling fans keep the temperature under control for you and your pets. Large bedrooms feature generous walk-in closets. Select apartment homes have soaring vaulted ceilings and cozy fireplaces. You can indulge your inner foodie by preparing fresh, delicious meals in your gourmet open kitchen. Cooking and clean up is easy with upscale finishes and modern, full-size appliances. All apartments are cable and satellite-ready. You’ll enjoy a steamy shower every time, courtesy of individual hot water heaters. Even the short commute home is a pleasure when you can look forward to parking in your own reserved parking space, and enjoying a glass of something cold and delicious on your private balcony or patio. 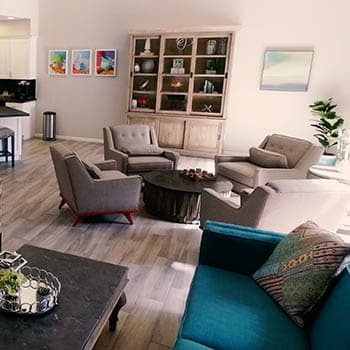 There’s plenty of room for you to live your life in style at Waterford Place Apartments. 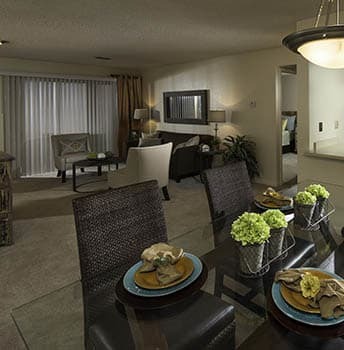 Contact us to learn more about the availability of spacious apartments in Mesa, AZ.